Home>New Mixtapes>Bump J Mixtapes> Bump J Shares First Post-Prison Project "I Don't Feel Rehabilitated"
Bump J releases his highly anticipated project, "I Don't Feel Rehabilitated." Bump J's been in the game for a minute but an incident that occurred in 200 derailed his career. The rapper was locked up on a seven year minimum sentence and was finally released from prison in 2017. During the time he was locked up, his name still rung through the culture after his name was frequently mentioned on tracks including Kanye's verse on "I Don't Like" remix. Now that he's released, he comes through with his first post-prison release, I Don't Feel Rehabilitated. 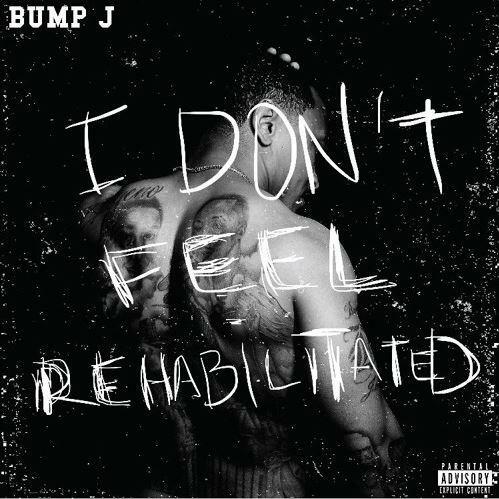 Bump J returns with his brand new project, I Don't Feel Rehabilitated with little notice. As the title says, it's a project that was done after he was released from prison. Bump J explained the writing process behind the project. “It Took me a little while to drop it, cause I wasn’t really writing while locked up and it’s hot outside, that's a good enough reason," he said. The project is nine tracks deep with production from Cardo, CAMEone, Money Motivated Mu$ic, The ANMLS, Eloh, Juice & DY. The was led by the Cardo produced single, "Foe Phones" which he released shortly before the album. Peep the project and let us know what you think in the comments. MIXTAPES Bump J Shares First Post-Prison Project "I Don't Feel Rehabilitated"